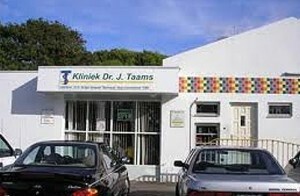 WILLEMSTAD - The beleaguered Taams Clinic is now under more pressure. Today the judge ordered the clinic to pay a total of 450,000 guilders in overdue bills the company has open at the utility company Aqualectra. The interest is included in this amount. The clinic in Damakor should also pay the legal costs and court fees, worth a total of 4,300 guilders. The Taams Clinic has had financial problems for years and will probably soon close its doors.